After months of taste testing different blends, we’ve had imported espresso and Sumatra beans blended to give that wonderful traditional premium Italian espresso shot that every espresso drinker loves. This Columbian and Indonesian blend exhibits balance between aroma, acidity, and complexity while producing a smooth well rounded traditional premium espresso shot. 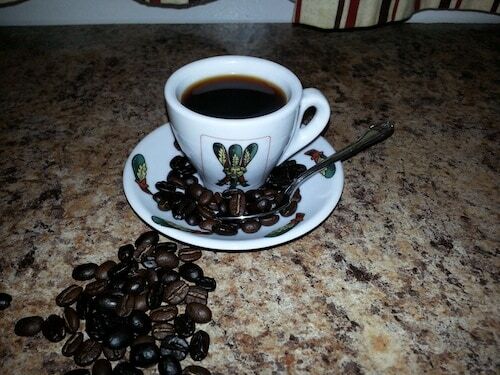 Sumatra: A bean from the Indonesian Islands produces a syrupy rich and smooth cup of café. Espresso: The popular Italian roast is the strongest and darkest Colombian roasted to perfection to brew a unique cup of café. Use: Stand alone, cappuccinos, and lattes. Choose from our 1/2 lb. or 1 lb. espresso beans or espresso ground. We also offer a ground coffee blend for drip machines. 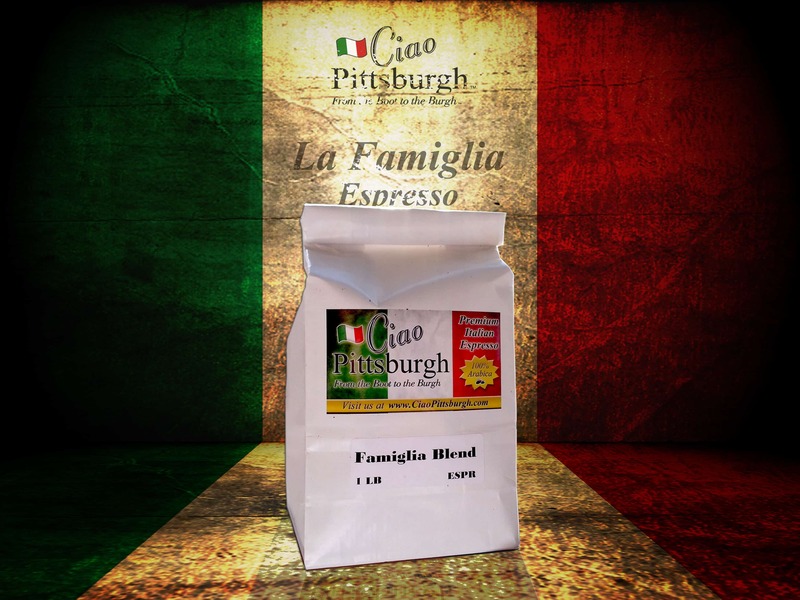 We’re very excited about this new venture and hope that you and your famiglia enjoys our espresso as much as my famiglia does. Grazie! Please note that we are only selling our Espresso at local events only at this time. If you are interested in the scopa espresso cup pictured above—or any other of our espresso cup sets, you can purchase them from our products page. For a review of select espresso machines, click here.